Special Assistant to the President Christopher 'Bong' Go posted this photo of the President on his Facebook page. 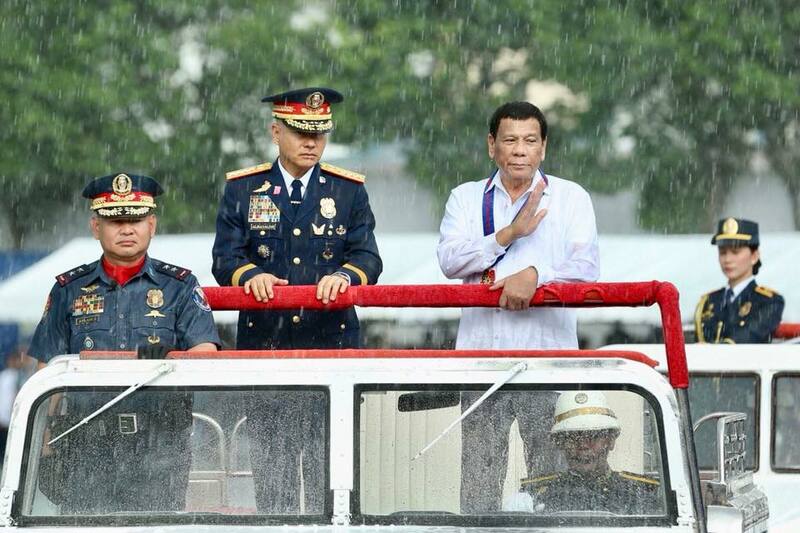 President Duterte was attending the PNP anniversary celebration yesterday. 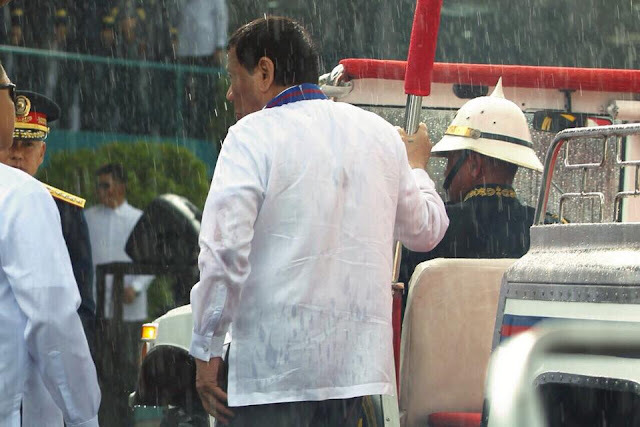 Kahit na umuulan, Sumakay pa din sa carabao jeep si Pangulong Rodrigo Duterte para pangunahan ang 'trooping of the line' sa ika-117 Police Service Anniversary! Although he has the privilege no to go with it, President Duterte went on with the program and even refused to use the umbrella when offered to. President Duterte is known to be a 'no-frills man' which makes him more appealing to the majority of Filipinos.